Maca powder, a superfood that’s derived from a root native to Peru, has numerous health benefits. Maca is best used without cooking or baking it. 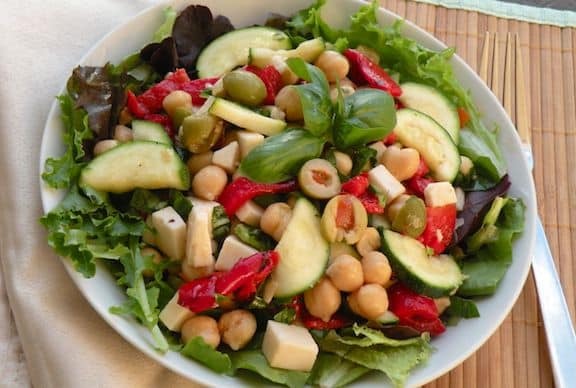 Here are a few simple ways to use maca powder in food. The easiest way is to add a teaspoon to a tablespoon to individual smoothies or protein shakes. 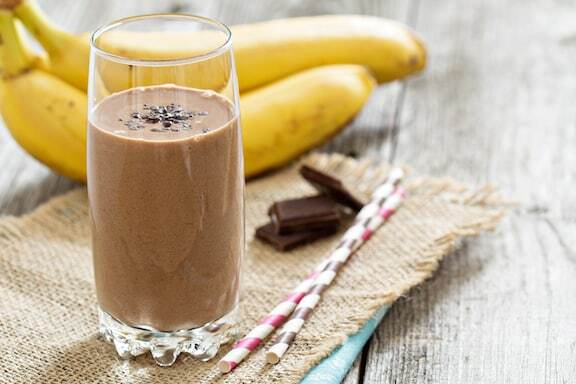 The malty flavor works particularly well with chocolatey flavors, as in Mocha Maca Banana Smoothie, shown above; but it also goes well with fruitier flavors, for example, Strawberry-Vanilla Maca Smoothie. If you’d like these and other ideas and recipes for maca to keep in your kitchen, you may enjoy this concise book, available in both e-book and paperback versions. 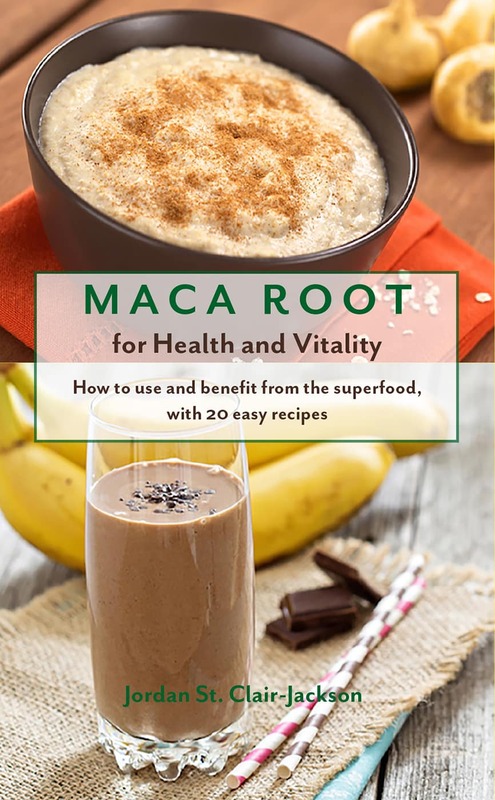 E-book: Maca Root for Health and Vitality: How to Use and Benefit from the Superfood, with 20 Easy Recipes. And the same title in paperback: Maca Root for Health and Vitality. 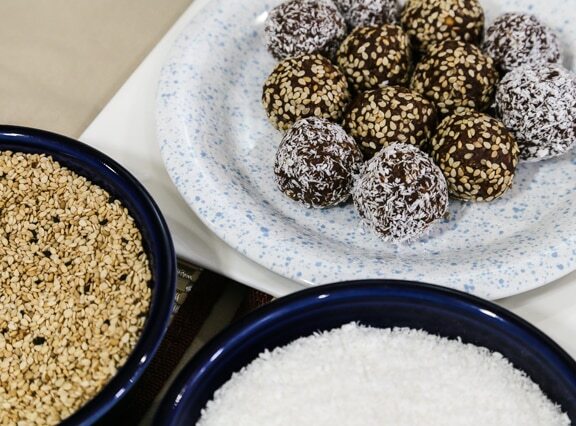 Maca powder is also a good addition to energy balls or no-bake sweets. No-Bake Vegan Maca-Roons are filled with all manner of nutrient-dense goodies, including maca, nuts, nut better, dates, and coconut. 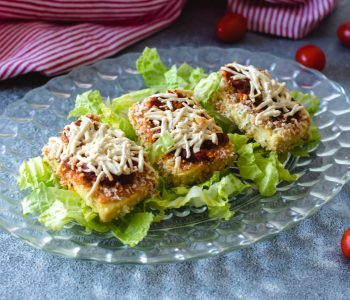 Try adding a couple of tablespoons or so to other no-bake treats like Unbaked Fudgy Brownies or Gena Hamshaw’s Unbaked Fig Bars. 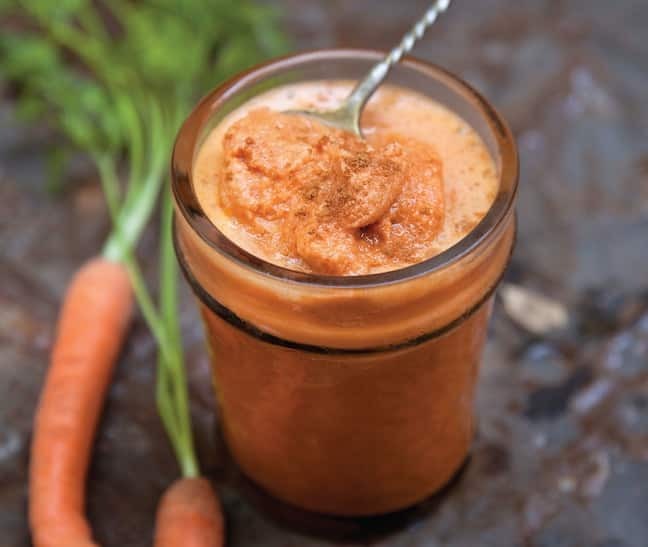 If you’re into juicing, maca can be a good addition, as in this Carrot Maca Juice by Julie Morris. It’s a mellow combination of nutritious carrots, energizing maca powder, and tasty cashews. The idea is to blend some maca, about a tablespoon or so, into 16 ounces of fresh juice. Another easy way to use maca is to sprinkle it onto your hot or cold cereals. Use 1 to 2 teaspoons in this case, otherwise the flavor may overwhelm your cereal. 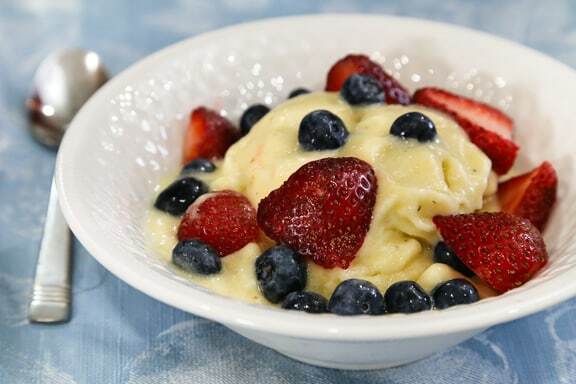 When the weather is warmer and you’re making your easy banana-based soft-serve “ice cream” simply add a tablespoon or two to the food processor when you’re blending up the frozen bananas. 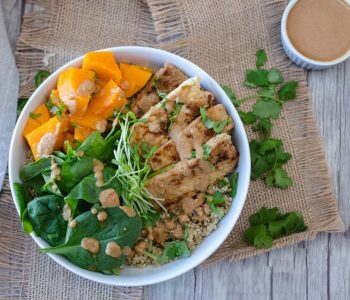 Do you have other ways you like to use maca in food? This is my first visit. Hope to get up-to-date info on uses of this product. Hello Dorcas — this is all we have for now! thanks for the info.. i have recently started using a tsp of maca powder in my daily morning smoothies. I love how it tastes. Goes well with coffee also! Does it ruin Maca powder to cook it in your oatmeal? Jacquelyn, it’s best not to cook it. 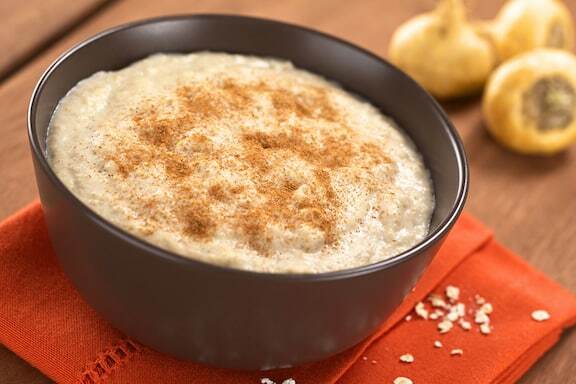 It’s easy to sprinkle on or stir in once your oatmeal is done. Could you please tell me the dosage for a 52 year 170 lb woman. I have looked everywhere and can’t find the dosage. Keri, an average dose is 1 tablespoon per day. 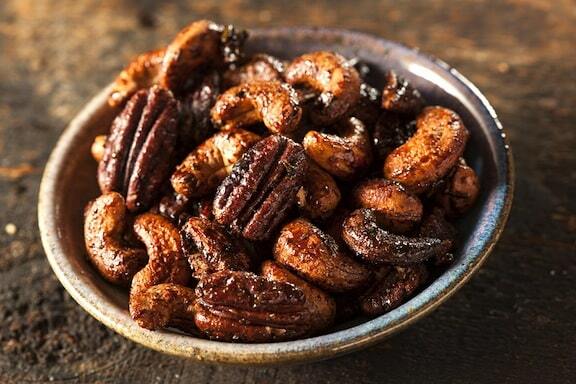 There’s no toxicity or side effects, but it is a powerful superfood. Start with 1 teaspoon per day and work up from there. Hope that helps! I have Vanilla chai flavored and it’s too strong and bitter for me. What others flavors are best for newbys. It’s actually best if you DO COOK IT. Maca powder is like flour, and will cause indigestion and stomach aches when consumed in it’s raw form. In Peru and Bolivia where it’s from, everyone cooks it (again, it’s a flour there). Once you cook the Maca, it makes it easy to digest, tastes better, and maintains all of the health benefits. Don’t let misinformed people tell you to just throw maca powder in a smoothie. Now I’m really confused. Cook it or not? It’s best not to cook it, the recipes here are uncooked. Hope that helps! I use maca in my morning or daytime coffee smoothu nd taste great , here it is all organic ==> ground coffee (cool down) +glog of hemp milk + 1 banana+ 1/2 tsp manuka with cinnamon (i mix cinnamon in manuka jar) + 1tbs coconut oil + 1tbs maca ==> belnd and enjoy , tatse awsome . Can I add it to my tea? Theoretically, you could, but if you add a spoon of maca powder to hot tea, it might be a bit clumpy. You could blend it up with a hand blender or a small whisk. I think maca’s pretty gross and ruins everything I’ve tried to mix it with. However, it makes me feel awesome so I just choke it down as quickly as possible in a glass of water lol. Oh, wow! Have you tried it in smoothies or raw sweets? I know what you mean; I’m not the biggest fan of its flavor but I can feel the energy boost almost immediately. I’ve been trying my hardest to be healthy .need to lose weight and shape up.I bought this last night after Zumba class and made​ a smoothie this morning. I felt energized within an hour!!! I’ve just tried it in chocolate nesquick milk shake and it’s ok! For me i’m too confuse.what is real use uncook or cooked. You can use it straight out of the package — no further cooking is needed! would it be good to mix just milk and maca powder? You could certainly mix maca powder in milk, though we’d recommend a nondairy milk for the purpose. You’d likely still need to use a regular or hand blender, though, as maca tends to clump and not mix in well. One more thing … maca is good in chocolate almond milk! I just purchased a pound of it a few days ago and I just throw it in my tea in the morning. Mixes right in. Changes the taste of the tea quite a bit but the energy boost from it is very quick. And if I may say this, it makes me horny. Lol. Sorry. The wife asked me if I was in danger of running out soon !!!?? I am 21 , and I would like to know if maca powder is appropriate for my age? The taste of maca is not very nice bout I find that 1 tablespoon of maca powder in vanilla yoghurt or smoothie works for me, tried all and this has been the only way I be able to take it. I’m also not crazy about the taste of maca, but agree that adding it to sweet things like smoothies helps make it more pleasant. Thank you for the ideas on how to use maca powder. I especially like the fact that you not only have a print option, but that when the print page shows up, I can delete the pictures (my printer does a really bad job of printing pictures, plus it unnecessarily uses a lot of toner) and parts that don’t apply to what I want to have in front of me when I am using the food product you are writing about. You are the only recipe site I know of that has this. Thanks for your comment, Toni. It’s good to know that this feature is useful!